He looked out the window and what do you know? Oh, it started to snow! How could this be? Should he flee? Should he learn how to ski? Oh, what’s a Hippo to do? Until a light breeze, made him sneeze! While not all hippos may dream of snowfall in the summertime, most kids do dream of becoming their favorite animal! And any child who loves the humble hippopotamus is going to love wearing this exclusive hippopotamus costume for kids! 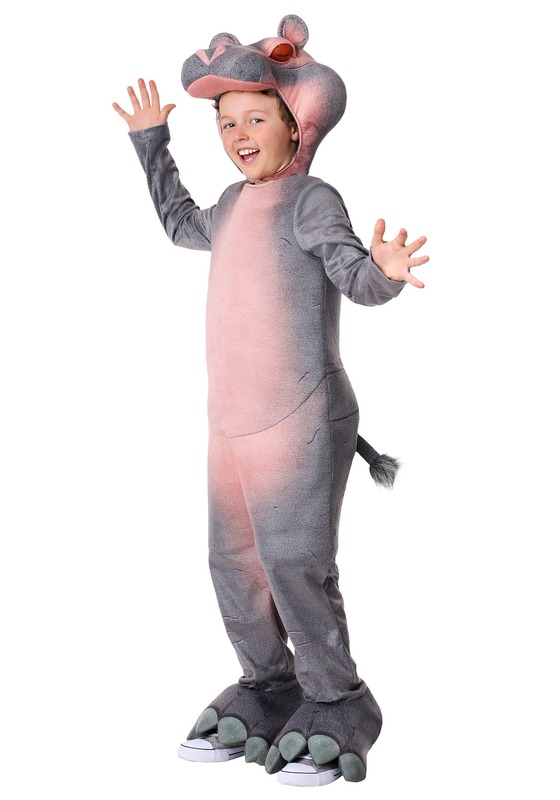 Our costume designers love animals and they wanted to get this child hippopotamus costume just right. That’s why they spent tons of time looking at a hippo’s skin to get the patterning as realistic as possible! You can truly see their hard work in the jumpsuit, which has shades of gray, pink, and white working together to create a style that looks like it came straight from the wild! The back of the suit has a small tail attached to the waist and each leg ends in a simple foot cover that fits over your child’s shoes. The headpiece is plush and shaped like the head of a hippo! It with a strap under the chin. 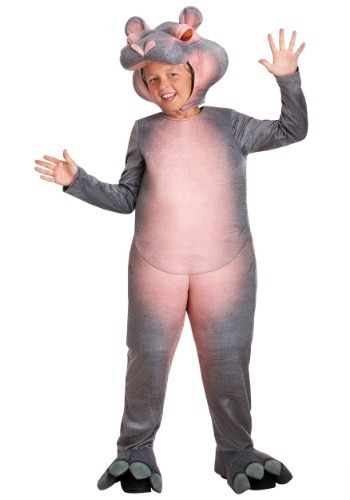 If your child’s favorite animal is the hippo, then they just may want to dress up like our friend Hugo from the poem! This realistic costume is the perfect way to do it!